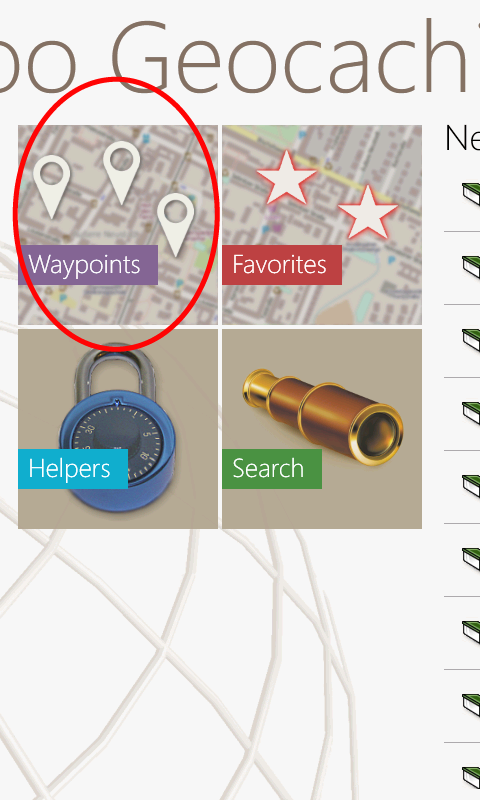 This post provides some facts about the import of waypoints from .gpx-files into maaloo Geocaching. The waypoints are imported from Dropbox. 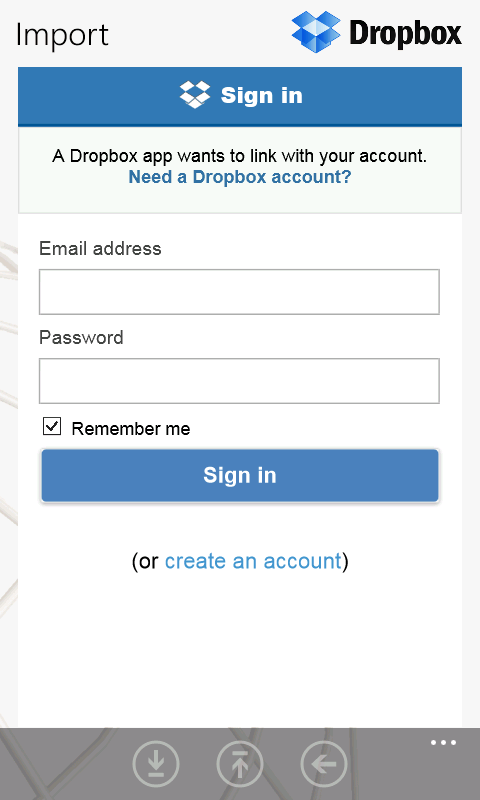 The login to Dropbox is also shown. 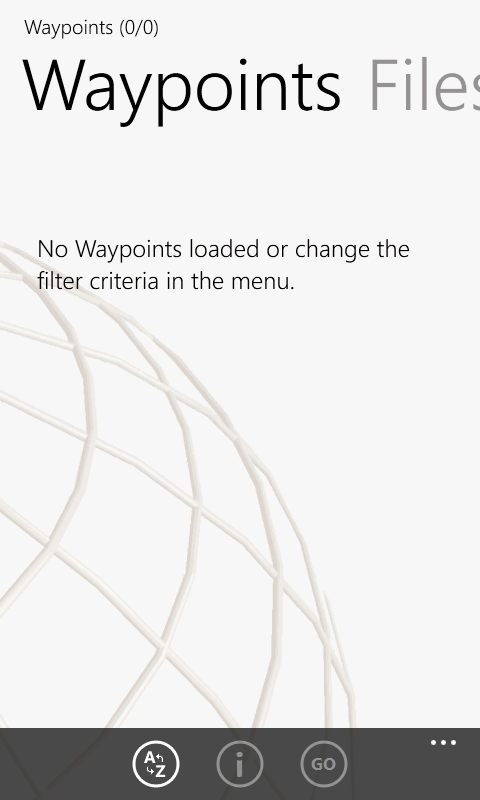 1) Open the Waypoints page. 3) Swap to the Files-page. If you have not imported any files before the list is empty. Press the lower left “Download”-button. 4) Select your preferred import source. 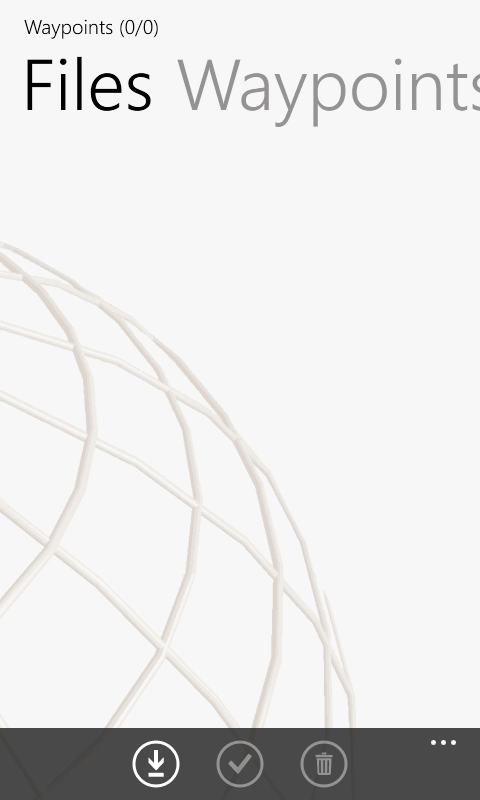 In this example we demonstrate the import from Dropbox. 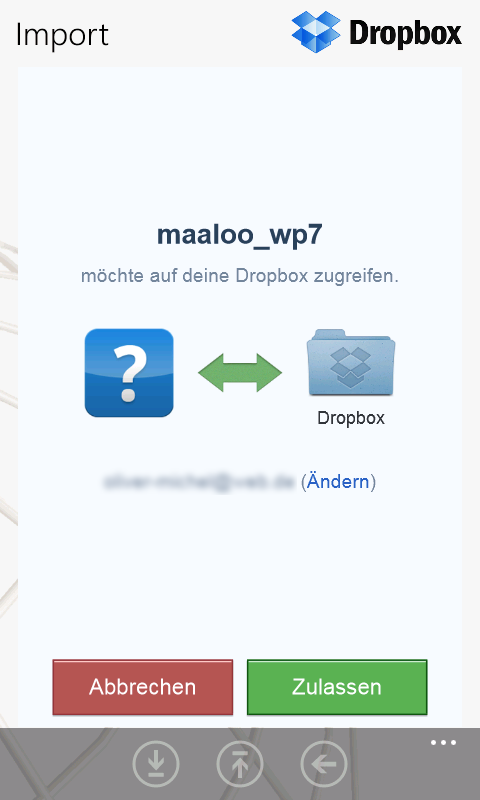 If you have logged into your Dropbox from this app before, the app jumps to point 7 without step 5 and 6. 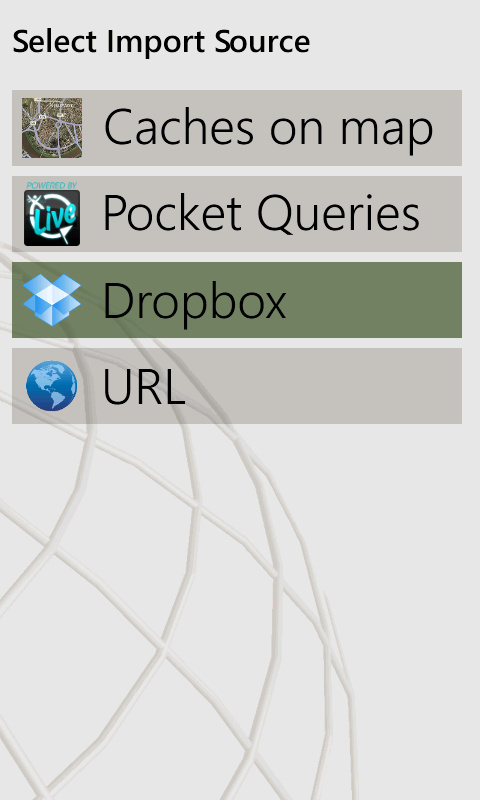 The Pocket Queries button allows to import your Pocket Queries from geocaching.com (for Premium-members only). 5) The app detects that you have not authorized with Dropbbox before and will start the login process. Type in your Email address and Password. Press ‘Sign In’. 6) Dropbox asks if you allow to connect your Dropbox-account with this app. Press the green button (‘Allow’ / ‘Zulassen’). 7) Use the lower menu buttons to navigate in your Dropbox-folders like in a file-browser. Use the ‘<-‘-button to navigate back to the parent folder. Use the ‘Download’-button to download your selected .gpx- or .zip-file. In case of a .zip-file, it must contain one or two compressed .gpx-file(s), the second with the additional waypoints (stages of caches). Select a .gpx/.zip-file and press the Download-button. 8) If the file was successfully downloaded this message appears. Press OK and 2x back-button of your phone. Select this file and press the middle Activate-button to activate this file for usage. 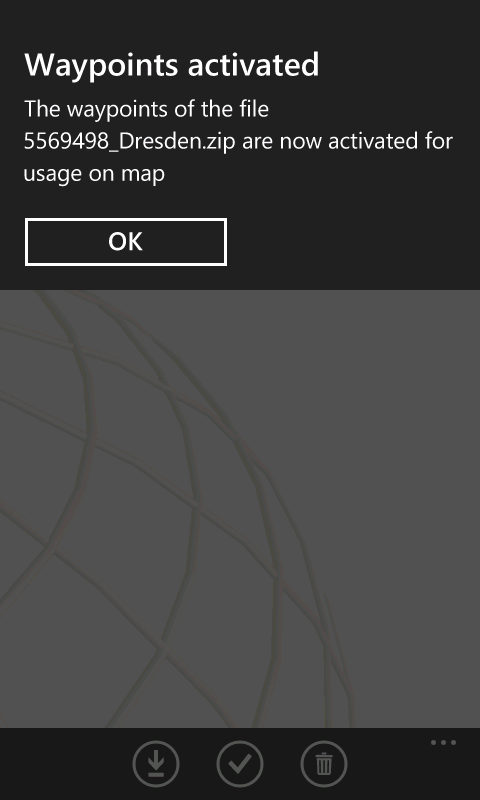 You can have more than one imported file, thats why you have to activate your desired file for usage. 10) The message appears that you have activated this file. Press OK and swap to the Waypoints-page. 11) The waypoints nearby your current position are ordered by distance. You can sort the waypoints by distance, name, difficulty or terrain by a press on the lower left menu button. 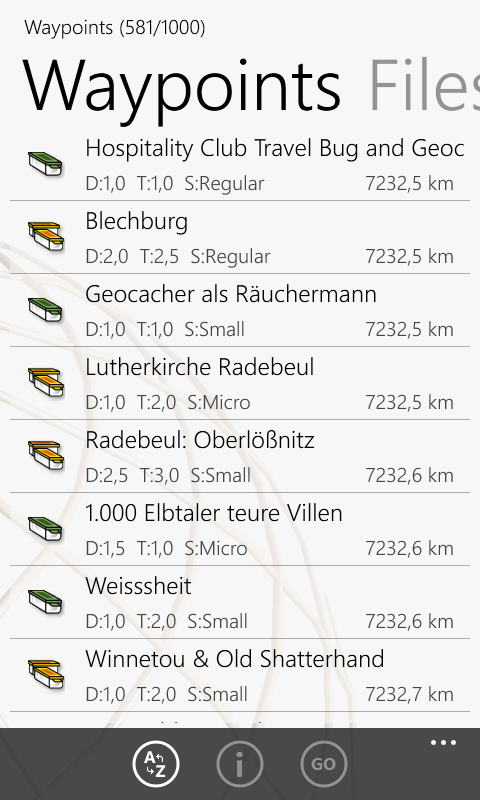 In case you did not load a geocaching-file, only the name and distance sort order make sense.